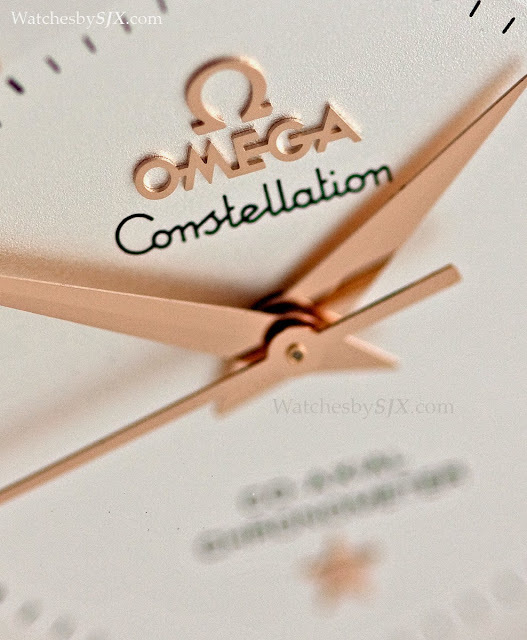 Early Omega Constellation watches of the fifties, including the first model of 1952, are nicknamed “pie pans”, due to the shape of the dial. 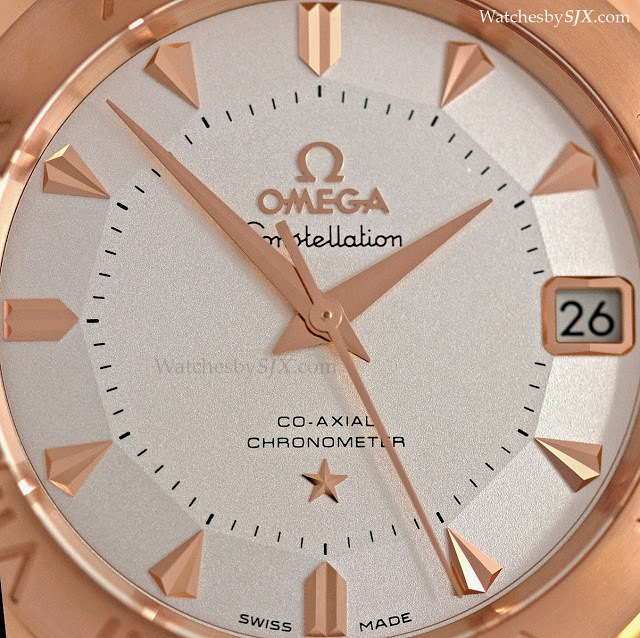 Of the dozens of Constellation dial styles over the decades, the pie pens are without a doubt the most charming and recognisable, especially the versions with arrowhead markers. 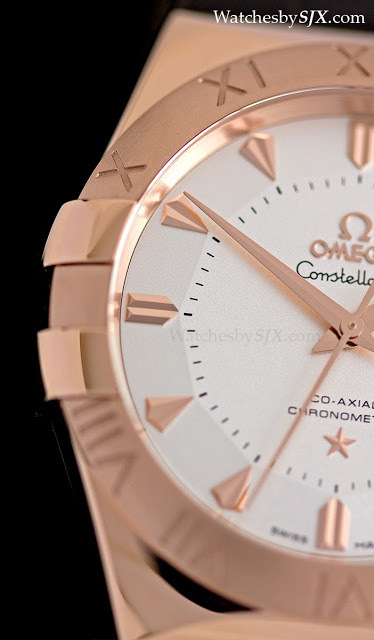 Made from Omega’s new in-house rose gold alloy, the Constellation Sedna pays tribute to those “pie pan” Connies, right down to the arrowhead markers. 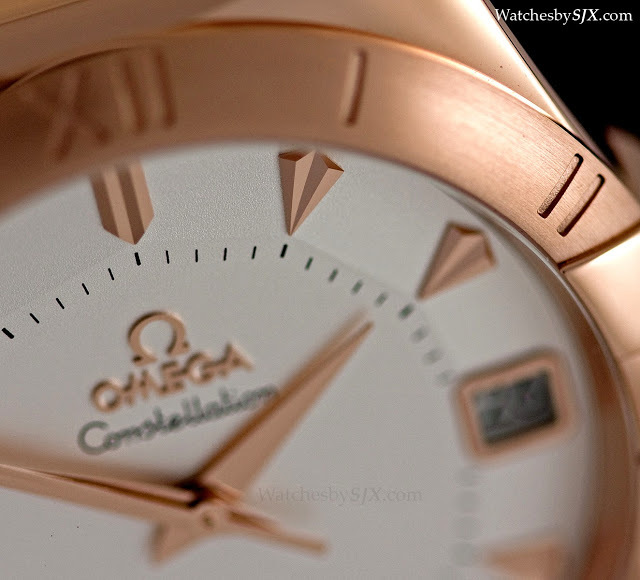 The Constellation Sedna is the first Omega to use the 18k Sedna gold alloy for its case. 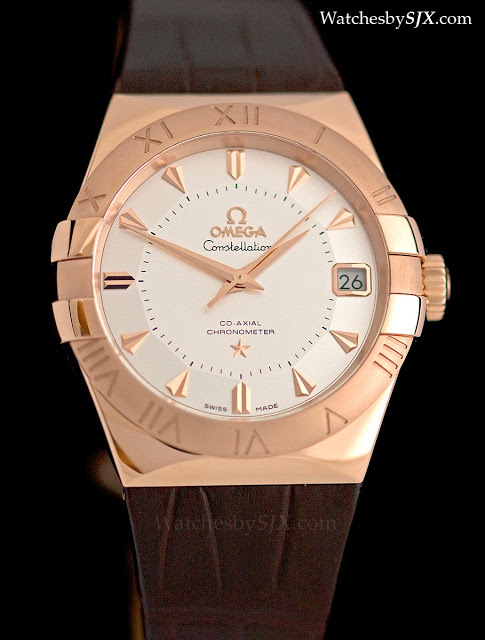 Developed in-house by Omega, Sedna gold has a strong red tone and is resistant to fading over time thanks to a high palladium content, not unlike the Everose alloy of Rolex. 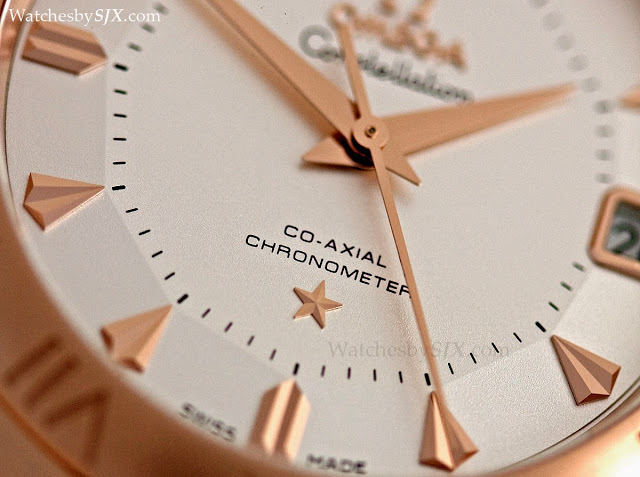 Conventional rose gold tends to fade to yellow over time, primarily due to exposure to chlorine. Today’s Constellation case, with its wide bezel and four claws at three and nine o’clock, was originally known as the Manhattan, one of the few great watch designs of the eighties which is still going strong today. While the pie pan dial is the most distinctive Constellation dial, the Manhattan is definitely the most recognisable of all the Constellation cases. 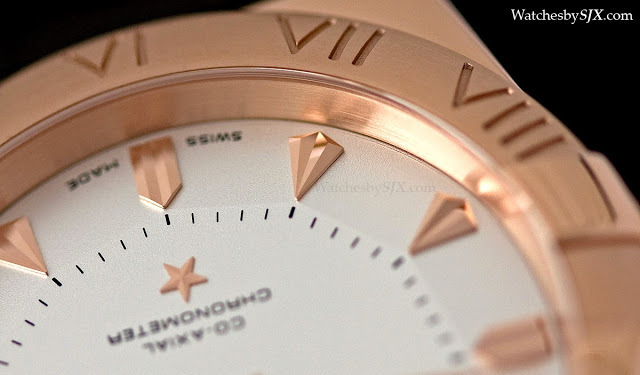 So the Sedna is actually a fusion of two of the most distinctive Constellation design elements over sixty years. While still featuring the claw signature bezel, the contemporary Constellation case is an evolution of the original Manhattan. It is larger, thicker with more sculpted and strongly defined lines. 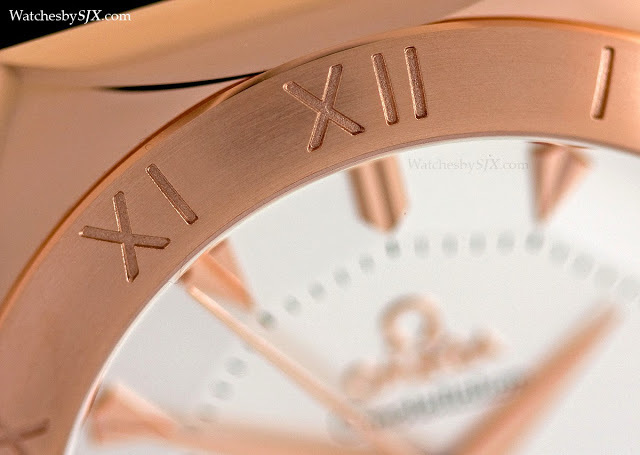 With a diameter of 38 mm, the Sedna gold case is attractively finished, especially the brushed bezel with four polished claws. That being said, I have never been a fan of the Constellation Manhattan case. I do, however, love the pie pan dial. 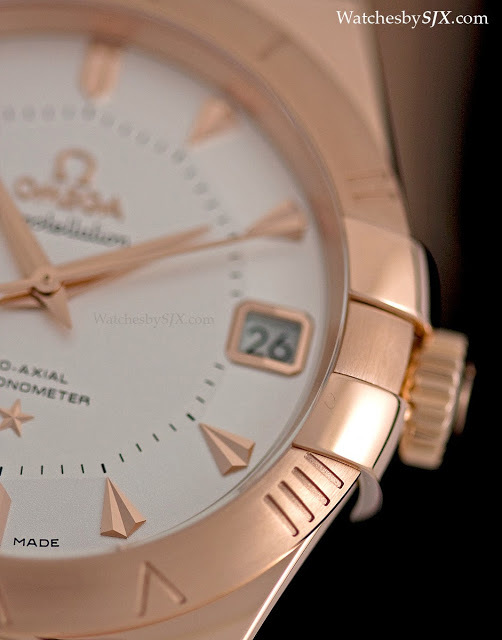 Omega has made watches in recent years which hinted at the original pie pan dials, like the Co-Axial limited edition of 1999, but none like the Constellation Sedna. It is almost a replica of the original pie pan dials and it is beautiful. 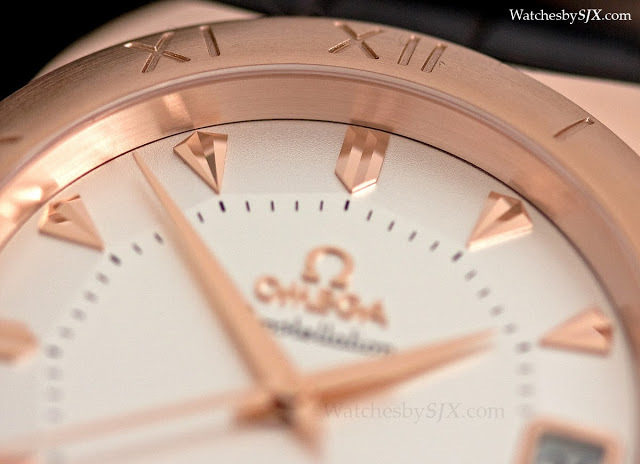 Like other modern Omega watches, the dial is obviously high quality. 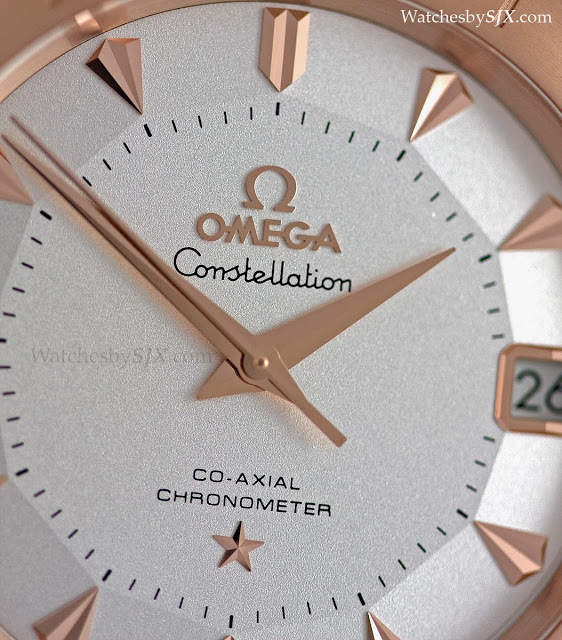 The dial itself has a silver grained surface, while the logos on the dial, including the Constellation star, are all applied Sedna gold to match the case. Also in Sedna gold are the extremely fine arrowhead markers, which are all wonderfully faceted and polished. 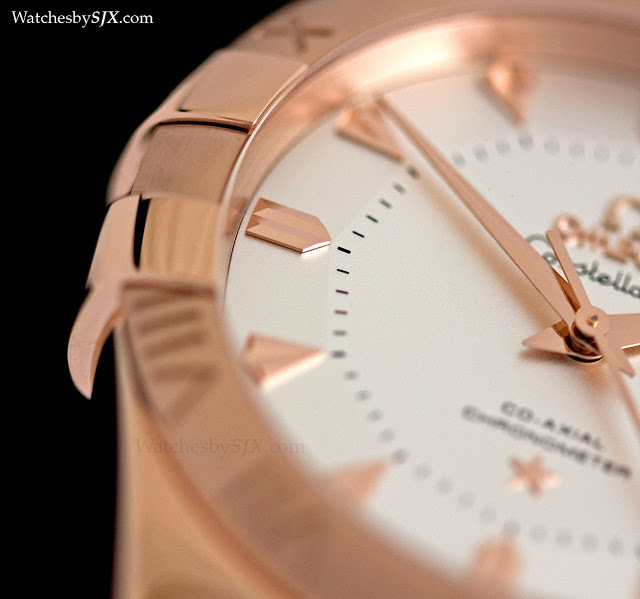 The Constellation Sedna is equipped with the COSC-certified cal. 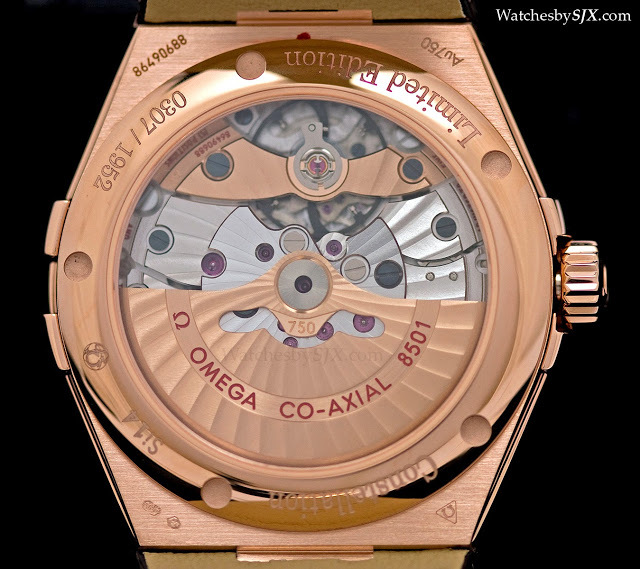 8501, which like all higher end Omega calibres has the Co-Axial escapement as well as the Si14 silicon hairspring. 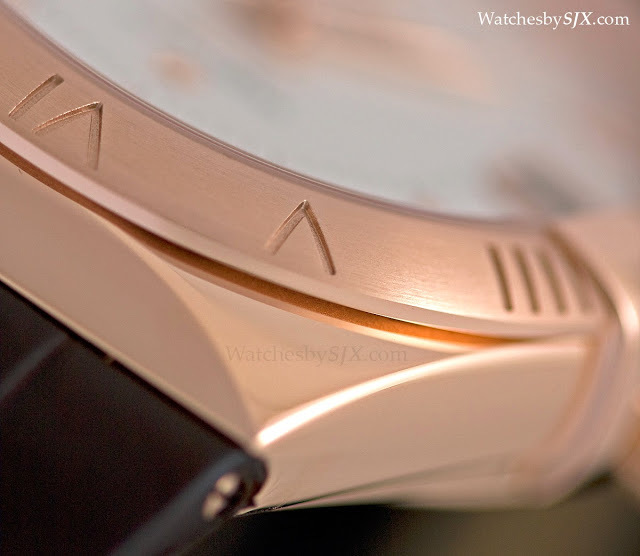 And being a gold watch, the rotor and balance bridge are in solid 18k gold as well. Only 1952 pieces will be made. 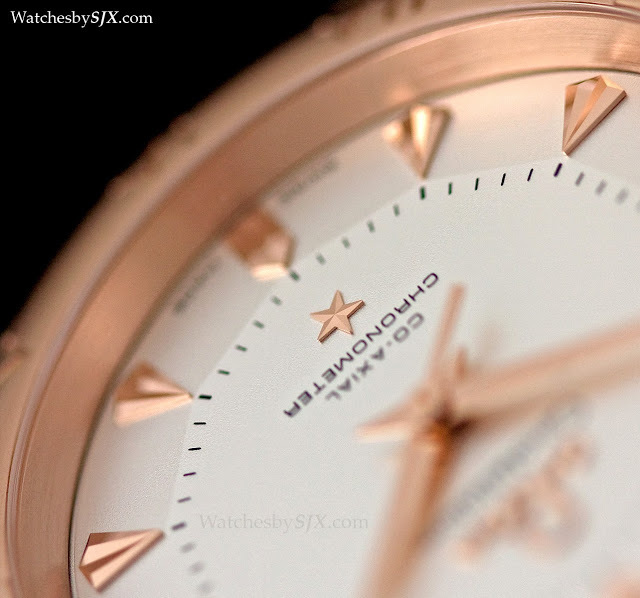 In Singapore the Constellation Sedna retails for S$27,650 inclusive of 7% tax, which works out to about US$22,000. 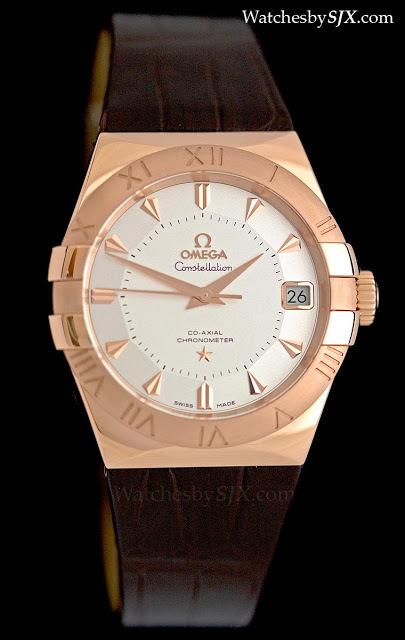 This is a beautifully made watch with a first class dial, both in design and construction, but not a value proposition.